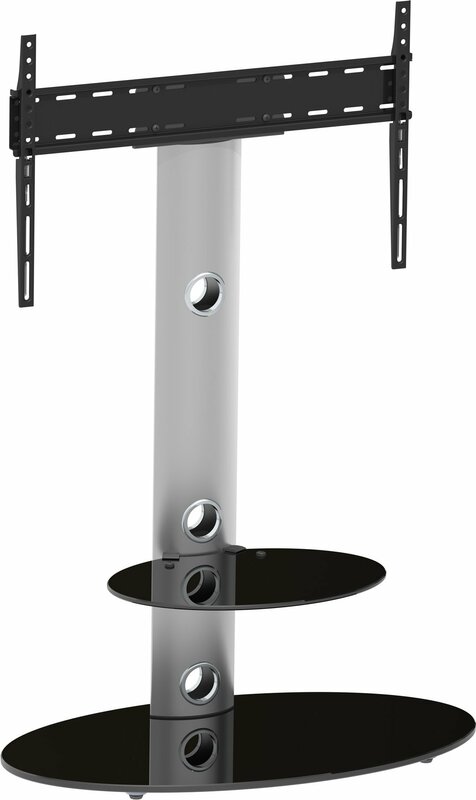 The Lugano cantilever TV stand features a large base with a smaller glass shelf ideal for your set-top box, DVD player or games console. The rear column has holes for all your cables through to keep everything tidy. 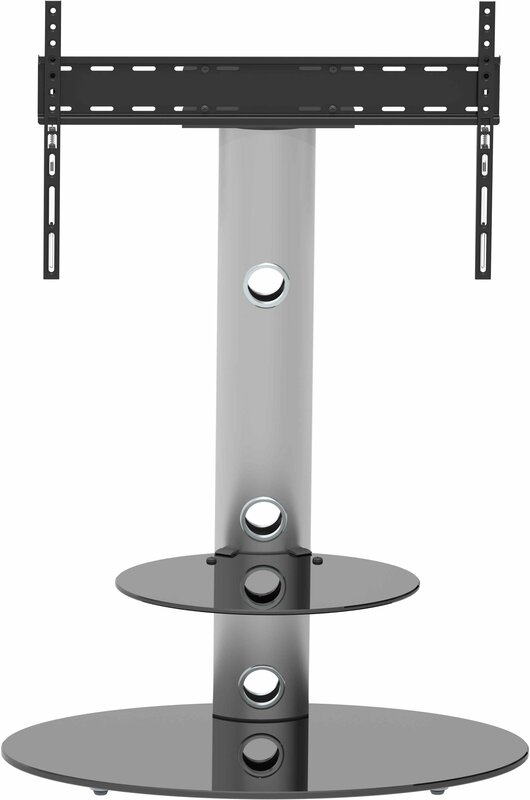 The fixed mounting bracket can support TVs from 33" to 60" that weigh no more than 40kg. Perfect size. Fits the room well. Although it is eye catching, the stand is not bulky and overbearing.